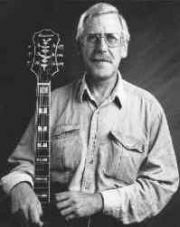 Louis Stewart began his musical career in the sixties as a member of the Dublin jazz scene. In 1968 he received an invitation to the Montreux Jazz Festival together with the Jim Doherty Quartet. He came away with the pressaward for "Outstanding European Soloist of the Festival". The following year - again in Montreux - he won the "Grand Prix de la Radio Suisse Romande". He turned down a scholarship from the Berklee School of Music, Boston, because at the time he was with Tubby Hayes' Quartet and Big Band and had been engaged by Benny Goodman for three European tours. In the 70s Louis Stewart was a member of the "Ronnie Scott Quartet" in London. During this period he also cut albums with Sam Jones and Billy Higgins as well as other musicians from the London scene. In July 1998 Louis Stewart was honored with a doctorate in music from Trinity College, Dublin.